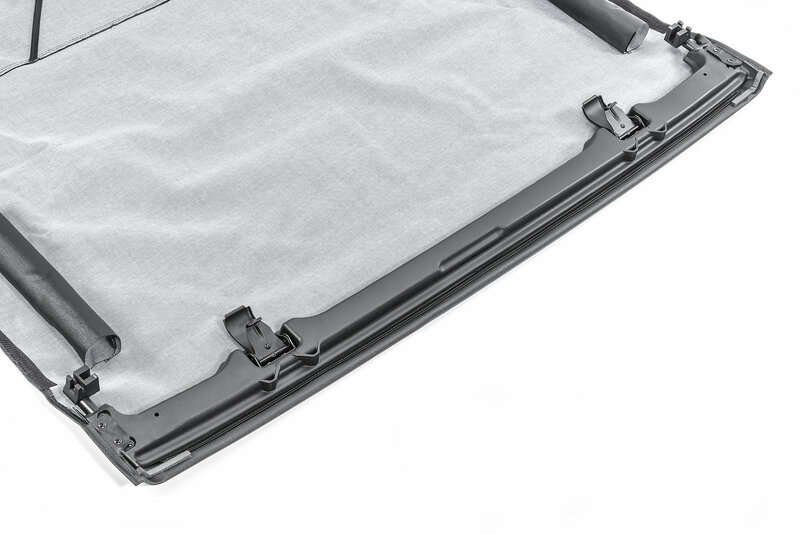 Constructed of the same fabric as the production top, this unique accessory offers a breezy open-air feel while protecting passengers from the sun. Available in colors to match your existing top. 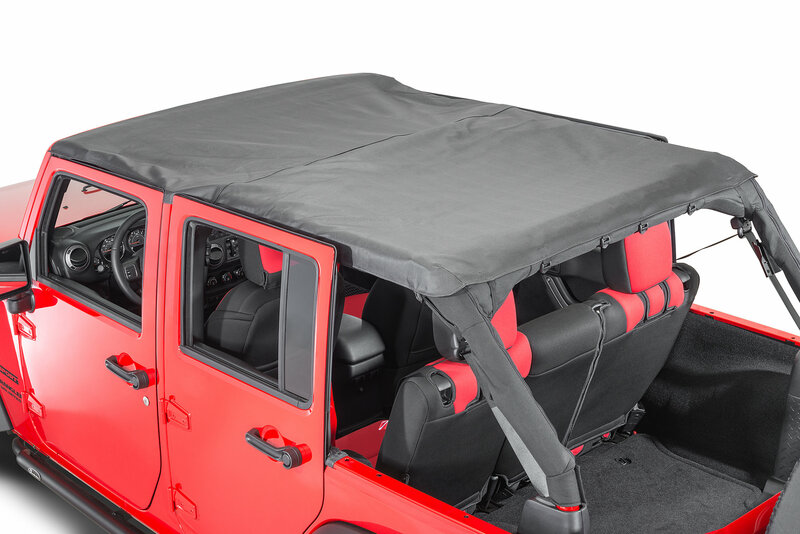 This kit includes everything you need to install the sun bonnet or bikini top onto your 4 door Wrangler. For hard top Jeeps, 3-ply premium material.